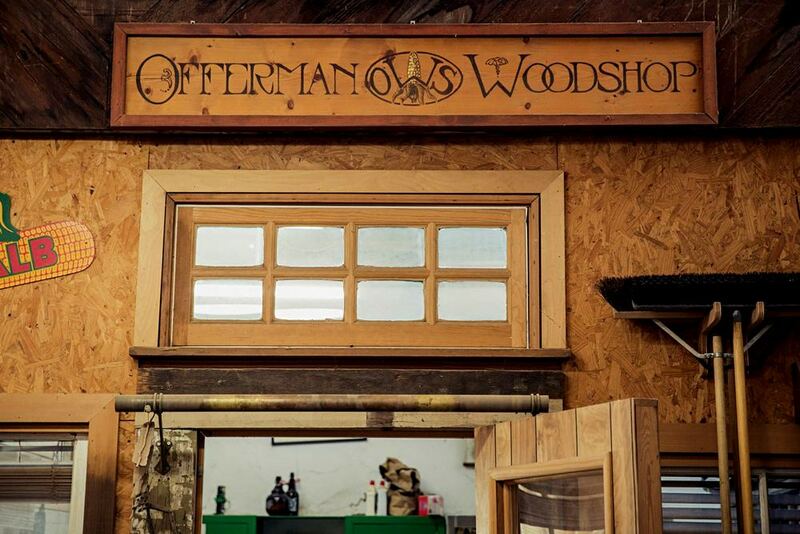 Inside Nick Offerman's Epic Workshop | Valet. Nick Offerman is known for making us laugh in roles as the mustache-sporting, red-meat-eating, wood-working everyman. But he doesn't just play one on TV. When he's not on set, Offerman is likely in his well-stocked wood shop. And now we get to see inside this legendary den of carpentry. This Old House, the long-running PBS show, recently sent host Kevin O'Connor to Los Angeles for a tour and to say the two hit it off is an understatement. Have a look and enjoy all the gorgeous wood and litany of tools along with plenty of shop talk and Dad humor. The Offerman Wood Shop now has an online store, selling some of the wooden wares getting cranked out. Like these customizable cutting boards, crafted from European beech and Walnut. Hit the reset button and get transported--without ever having to leave home. The seven bottles we're hoping to unwrap (and uncap) this holiday season.